As some of you know I want to build a whole castle. Now I'm looking for different ways to build it. One of them is the Valdemar Scenery Parts. But there I have a question. You have this Medieval gate. On the picture you see the gate with a house to the right. Is that included or is this those fortified house you can read above the picture? I just startet to make the place where the castle should stand on. Because of the price of all materials, this project will take me around a year I think. The medieval gate has been released and composes a massive gate consisting of two builidings and a small wall piece. It's really nice kit, I have order it my self waiting whit high expectation. I dont know how big it is ? btw. I looked at your pictures, some great Dios. I am really impressed. thank's what in this forum or photobuket? 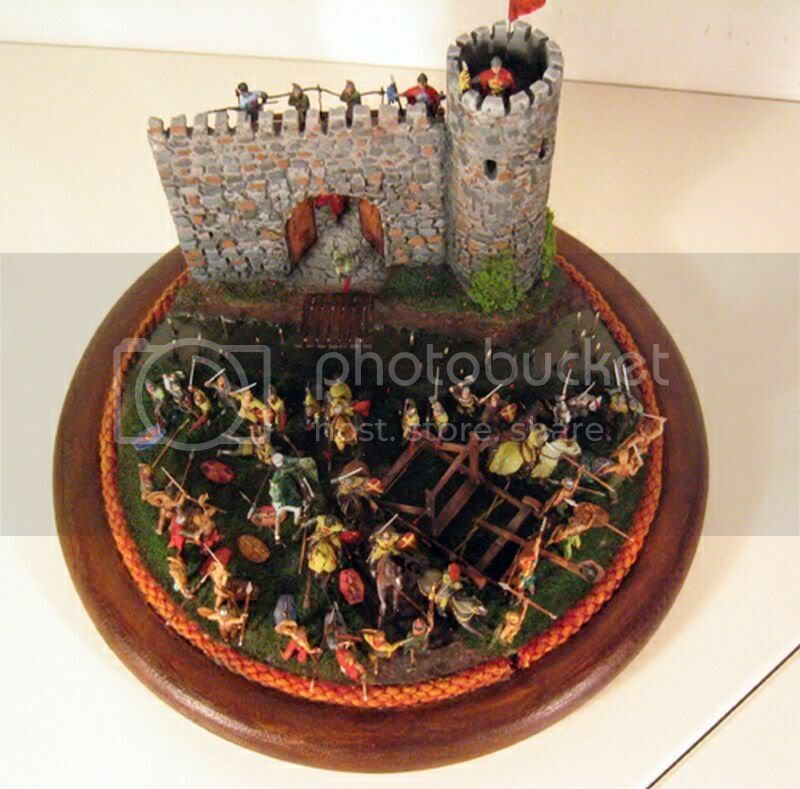 In Photobucket it's some fue knight/figures that i havent done just admire. Hi this kit is good just wonder what colour to paint it whit? With light brown and the brick colour? it looks authentic medieval castle gate! And if i going to add a bridge what the chain scale would i use 1:35 or 1:72? Thought i might add a ditch,bridge and a iron gate. Hope to show you the stables during the weekend, really nice model for the castle or stand a lone model. I have a quesion to your wall sections. Can I cut it if it is too long or I need two short walls? And if yes, easy to cut or do I need a saw?